We know what matters, what our patients and those who love them are facing and we know the important role we play in this journey. Hospice is specialized medical care for those at the end of life. Hospice addresses all aspects of the patient: physical, emotional, social, and spiritual. At Hospice of Lenawee, we look within each patient and begin with "What matters to you and how can we get there?" Our care focuses on the patient’s comfort and happiness. We work to manage pain, discomfort, and other symptoms to support your loved one’s quality of life. But, we are also here for the family and you, as the caregiver. We support you every step of the way. We help you step back and become the spouse, the sister, the son again. As a caregiver, you have a special and unique role in patient care. If you are the primary caregiver, you will be the link between your family and Hospice of Lenawee. Caregivers assist with the patient’s personal care, food preparation, and other practical matters, like housekeeping, making appointments with doctors, transportation, and companionship. Your work as a caregiver is exhausting. But, you don't do it alone. Hospice of Lenawee will be right there beside you each step along the way. Hospice care is unique for each patient. That means we’ll work with you, the caregiver, and your family to create a care plan that meets the patient’s needs. As a caregiver, we’ll be in continuous contact with you about your loved one’s condition, answer your questions, and help you prepare for the next stage. Hospice of Lenawee believes that end-of-life care is about relationships; our relationships with those who love them and our relationships with those we care for. For patients facing a life-limiting illness and needing palliative care, Hospice of Lenawee is here. We begin with what matters to you and how we can get you there. In dealing with your illness, we know that your concerns go way beyond your own needs. You are keenly aware of your family, friends and loved ones and what they are feeling and hoping for. And that is why, we are not only here for you, but for those you love. Your plan of care will be designed with you and your family in mind. As our team at Hospice of Lenawee are experts in pain and symptom management, we will focus on reducing your pain, helping you to feel less anxious and providing you with the comfort you deserve. Your caregiver will receive education and support and nestle back into their true role, as your daughter, husband or life partner. Preparing for end-of-life is something that many of us feel can wait - that it is about age or current health issues. But it's not...it's about being prepared so that your loved ones don't have to make difficult decisions when in crisis and knowing that they are fulfilling your wishes. Hospice of Lenawee encourages our community members to prepare for the future. In other words, do the necessary work now to inform your loved ones in writing what you want should you not be able to tell them later. 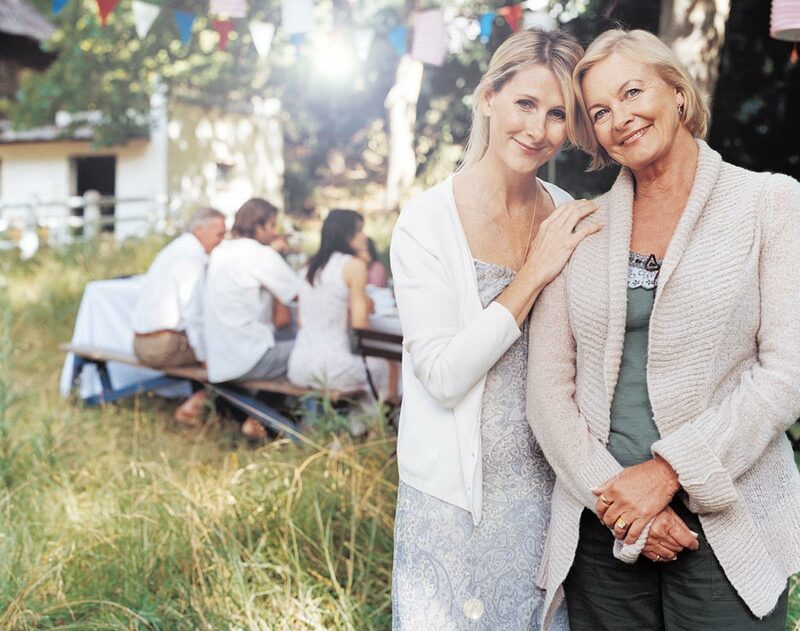 Having the conversation about advance care directives, choosing the person you would like to speak for you in the event you are unable to speak for yourself and putting it all down on paper is a gift to your family. We recommend the document 5 Wishes and will be there to help you with questions or concerns. Quality of life cannot be described in a paragraph. It is personal and means something different to every patient we care for. It could mean being able to hop on your motorcycle to go for a ride. It could be about cooking a fabulous (or not so fabulous) dinner for your loved one after a long day at work. Or it could just be about hanging the sign on the door - "Gone' Fishin'." Whatever it means to you - that's what it means to us. At Hospice of Lenawee, we look into each patient's heart to enrich their end-of-life experience by helping them connect to what matters. It may be about controlling symptoms or managing pain...it may be about addressing an emotional need or life review. But whatever determines your quality of life - that is our goal - to get you there. Physicians play an important role in Hospice patient care. As a physician, you are vital to the health and well-being of your patients and we look forward to working with you to assess and address the needs of your patients and their families. Hospice offers several levels of care provided by professional medical staff for those approaching death. Hospice care encompasses the patient, caregivers, and family, and offers palliative care for those with life-threatening illnesses. Medicare pays for the majority of end-of-life care through the "Hospice Benefit." Medicaid and other insurance providers also help cover expenses. In some cases, Hospice of Lenawee's Hospice Heart Endowment may be accessed to support those who are either uninsured or underinsured. Learn more about Hospice Costs. As a physician you may wonder what the benefits of Hospice are for your patient. We’re here to care for your patient at the end of his or her life, to maintain or improve quality of life, and to support the patient’s caregivers and family. The benefits of Hospice are numerous! We work with patients, families, and physicians to create a personalized care plan that provides comfort, dignity, and support. Your patient can choose to stay in his or her home, or in a hospital or other care facility. In addition, we have the Hospice of Lenawee Hospice Home for those patients who need 24-RN care. As part of your patient’s care team, you’ll be updated as to your patient’s care and condition during Hospice treatment. If you so desire, we are happy to work with your office to collaborate on your patient’s care. We understand that you’re concerned with your patient’s health, comfort, and happiness. Hospice addresses these areas with your patient and with his or her family. If so desired, we can help the patient stay at home by supplying needed equipment, medication and visits by our Interdisciplinary Team. If you are unsure if your patient should be referred to Hospice care, please contact us about eligibility. We will be glad to meet with you and support this process in any way we can. If you should want to speak with our Medical Director, Dr. Justin Voorhees, he can be reached at (517) 263-2323. 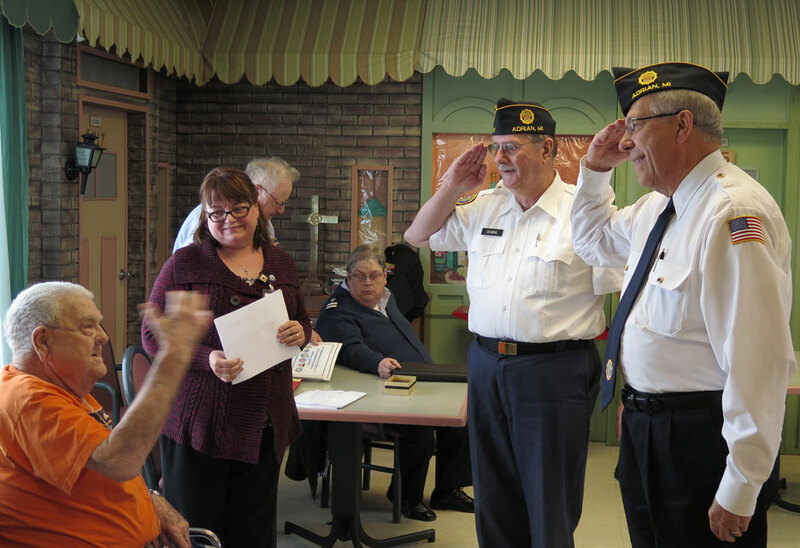 Through our partnership, Hospice of Lenawee is dedicated to assessing and addressing the needs of our veterans. We realize that each veteran had a different experience in serving our country. Not only was each conflict different for each veteran, but so were the wars themselves. The medical, emotional and spiritual needs of each veteran relating to their service are also different. Therefore, our team has been trained to address the needs of each veteran appropriately. One of the most important aspects of our program is making sure our patients who served our country are provided with the opportunity to be thanked. We do this through a Pinning Ceremony privately or in a group setting with other veterans. Family and friends are invited and our patient is honored with a pin that represents their branch of service. It is a time to acknowledge and reflect and to express our gratitude for their selfless service to our nation. Impact a life today with your donation to Hospice of Lenawee.